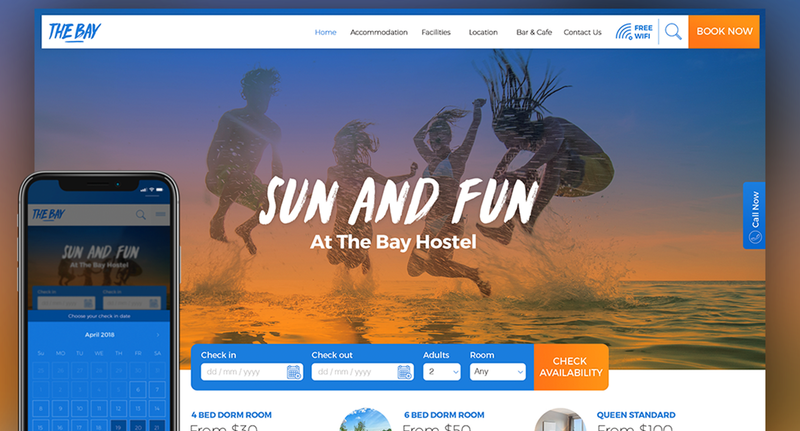 Design a website for a fictional backpacker hostel. It must be easy for people to find essential information such as location, room options, prices and availability, and convey a sense of the personality and ethos of the place. Our site is aimed at users 19-25 years old and includes festival attendees, students who have just graduated high school and international backpackers from around the globe who want a taste of the Australian surf/beach lifestyle. To appeal to this target demographic, I focused on creating a design that is clean, clutter free and includes an inviting and down to earth colour palette associated with summer, beach lifestyle and fun. Modern rounded typography is used for important information, while the main hero heading uses the same font in hostel’s logo to keep consistency with the hostels brand identity. 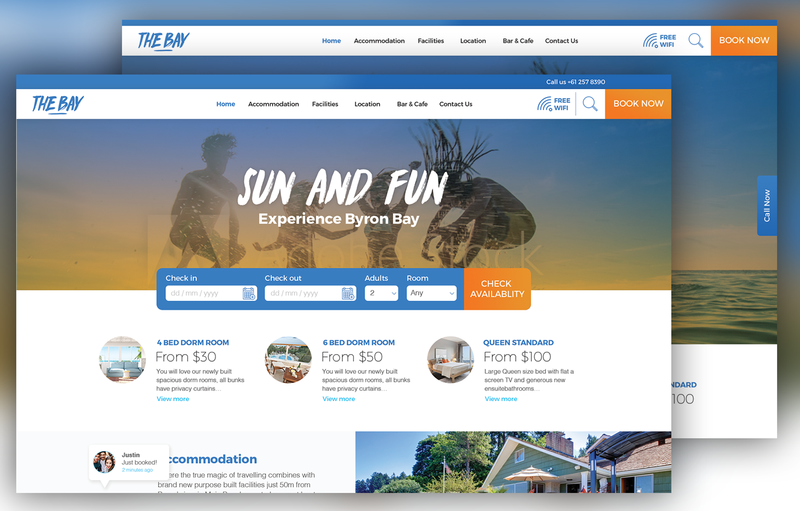 The sites layout is designed to allow users to easily and quickly see all the most important relevant information needed to make a booking decision including price, location, facilities and the ability to check room availability and book straight from the home page. It also takes into consideration the users preferred language and removes possible cultural and language barriers that influence the users booking decision. The photography used tells the story of the hostel’s culture which is fun, carefree beach lifestyle. 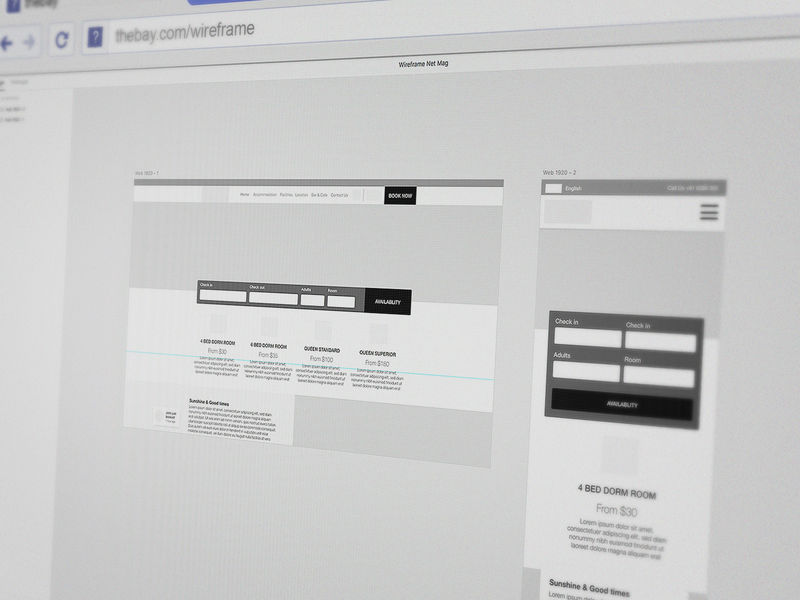 We started with wireframes to decide the best layout for the user. 1. 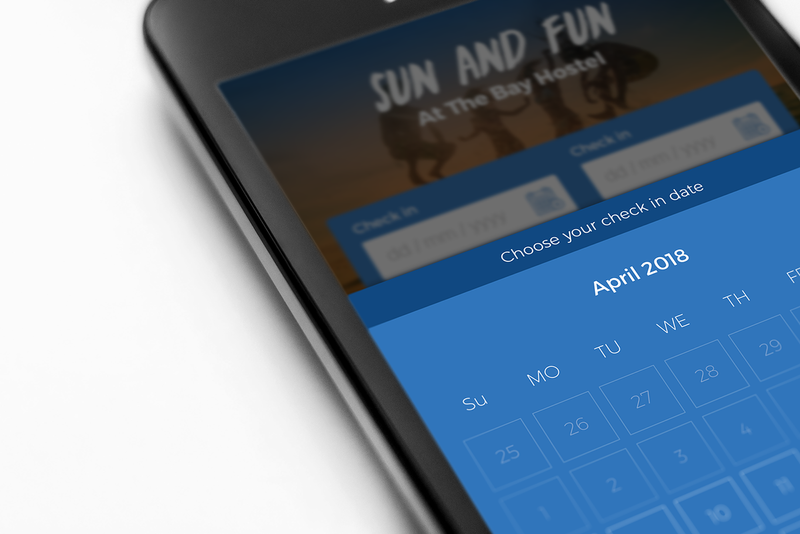 Navigation allows the user to have access to relevant information that will influence their booking decision. So keeping the navigation clear and clutter free is necessary. 2. The site will be able to be translated into multiple languages to assist overseas users. 3. A side Call Us tab allows the user to quicker call the hostel if they run into any questions during the booking process. 4. Another important feature is the Room Availability Checker, which allows to user to input their travel dates, number of guests and their room type to see what rooms are available. This also allows the user to to proceed to a booking confirmation page. 5. User can see what type of rooms are available. They can see the pricing for each room and the option to view more details if required. 6. This feature shows who has recently booked a room and how long ago. 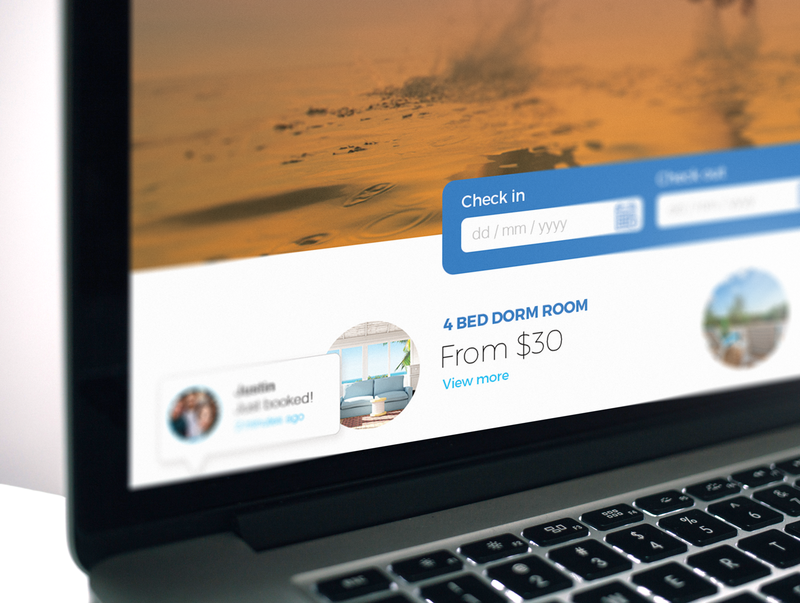 This creates a sense of urgency as the user doesn’t want to miss out on their booking and provides social proof that real people are currently booking their rooms as well.